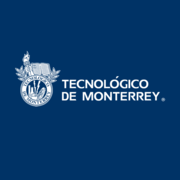 Celebrating its 70th anniversary, Tecnológico de Monterrey is one of the largest private, non-profit educational institutions in Latin America, with over 90,000 students at the high school, undergraduate, and graduate levels. Diseño instruccional para el aprendizaje activo via Coursera 9 hours a week , 5 weeks long 9 hours a week , 5 weeks long 29th Apr, 2019 No reviews yet. Distribución de la energía eléctrica via edX 4-5 hours a week , 6 weeks long 4-5 hours a week , 6 weeks long 29th Apr, 2019 No reviews yet. Modelos de diseño instruccional para ambientes digitales via Coursera 9 hours a week , 5 weeks long 9 hours a week , 5 weeks long 29th Apr, 2019 No reviews yet. Física: Vectores, Trabajo y Energía via Coursera 4-5 hours a week , 5 weeks long 4-5 hours a week , 5 weeks long 6th May, 2019 No reviews yet. Física: Dimensión y Movimiento via Coursera 5 weeks long 5 weeks long 6th May, 2019 No reviews yet. Smart grid: fundamentos técnicos via edX 4-5 hours a week , 4 weeks long 4-5 hours a week , 4 weeks long 6th May, 2019 No reviews yet. Fundamentos de la escritura via Coursera 5 hours a week , 5 weeks long 5 hours a week , 5 weeks long 6th May, 2019 No reviews yet. Cálculo Diferencial e Integral unidos por el Teorema Fundamental del Cálculo via Coursera 11 weeks long 11 weeks long 13th May, 2019 No reviews yet. Habilidades de negociación y comunicación efectiva via edX 5-8 hours a week , 4 weeks long 5-8 hours a week , 4 weeks long 20th May, 2019 No reviews yet. Transmisión de energía eléctrica via edX 4-5 hours a week , 7 weeks long 4-5 hours a week , 7 weeks long Self paced No reviews yet. Ahorro de energía via edX 4-5 hours a week , 7 weeks long 4-5 hours a week , 7 weeks long Self paced No reviews yet. Mercados de energía: oportunidades de negocio via edX 4-5 hours a week , 7 weeks long 4-5 hours a week , 7 weeks long Self paced No reviews yet. Fundamentos del emprendimiento en la empresa familiar via edX 7-8 hours a week , 6 weeks long 7-8 hours a week , 6 weeks long Self paced No reviews yet. Mercados de carbono: una forma de mitigar el cambio climático via edX 4-5 hours a week , 7 weeks long 4-5 hours a week , 7 weeks long Self paced No reviews yet. Liderazgo en la empresa familiar via edX 7-8 hours a week , 6 weeks long 7-8 hours a week , 6 weeks long Self paced No reviews yet. Energía eléctrica: conceptos y principios básicos via edX 4-5 hours a week , 7 weeks long 4-5 hours a week , 7 weeks long Self paced No reviews yet. Comunicación efectiva para el líder actual via edX 5-8 hours a week , 4 weeks long 5-8 hours a week , 4 weeks long Self paced No reviews yet. Smart grid: las redes eléctricas del futuro via edX 4-5 hours a week , 4 weeks long 4-5 hours a week , 4 weeks long Self paced No reviews yet. Estrategias y estilos de negociación via edX 5-8 hours a week , 4 weeks long 5-8 hours a week , 4 weeks long 17th Jun, 2019 No reviews yet. 4.- El Cálculo - Otros Modelos via Coursera 4 weeks long 4 weeks long 22nd Apr, 2019 No reviews yet. 2.- El Cálculo - Modelo Cuadrático via Coursera 4 weeks long 4 weeks long 22nd Apr, 2019 No reviews yet. 1.- El Cálculo - Modelo Lineal via Coursera 4 weeks long 4 weeks long 22nd Apr, 2019 No reviews yet.